Mubadala Petroleum Internship Program for Fresh Graduate is an excellent way to gain exposure in international oil and gas company and as an opportunity to develop knowledge, skills and competencies with the real working experience. This program is for Fresh Graduate who has less than 1-year experience and the program period is from the beginning of 2019 up to 31 Dec 2019. Hold Bachelor degree in Industrial Engineering or Management. Familiar with excel spreadsheet and other database tools. Responsible for providing comprehensive operational, technical and engineering deliverables relating to all turbomachinery and rotating equipment on the offshore facilities. Undertake effective day-to-day maintenance of the equipment to maximise uptime and ensure gas sales agreements are met. Responsible to develop and execute maintenance plans, technical support activities and data analysis. Troubleshooting, investigative exercises, implementation of reliability programs combined with setting up relevant KPI’s and asset integrity management systems is of paramount importance to this role. Perform monitoring and real time data analysis on turbomachinery equipment via online monitoring system. Review and analyze data for all other rotating equipment. Review the preventive and corrective maintenance regime being undertaken on turbomachinery equipment and rotating equipment to ensure it is sufficiently robust to maximize reliability, integrity and availability. Review maintenance strategies and propose improvements. Function as a rotating equipment / turbomachinery technical resource to identify root cause and resolution to problems. Close coordination with the Offshore Team to provide appropriate guidance related on maintenance activities and spare parts tracking. Responsible to review, identify and optimize spare parts, non-stock materials. Close collaboration with the Maintenance Reliability Engineer to optimize availability and reliability of rotating equipment. Responsible to manage budgets related with high cost rotating equipment and turbomachinery. Professional and effective involvement in all maintenance activities by setting personal objectives, self-managing performance, personal development and motivation. Provide coaching and guidance to offshore mechanic technicians. Support Supply Chain Management for technical recommendations and evaluation regarding Contracts and / or purchasing activities, Bid Package, Scope Of Work and Engineering Estimate. Identify Long Term Service Agreements (LTSA’s) related respective discipline (Turbocmachinery Specialist, etc). Ensure full compliance with all relevant, Quality, Health, Safety, Security and Environmental policies, procedures and controls within sphere of influence as clearly identified in the QHSSE Policy and the Operations Management System. Minimum 10 years technical experiences in Oil and Gas company. Experience in turbomachinery / rotating equipment. Strong analytical thinking, organizing and problem solving skills. Good communication in Bahasa and English, both oral and written. Provide regional and detailed structural / stratigraphic framework of the Andaman area based on 3D and selected 2D seismic data, with integration of outcrop, plate tectonic, gravity / magnetics and other data sets. Generate appropriate 2D and 3D reconstructions to evaluate fault trajectory and linkages, timing of fault movement history and impact on sedimentation. Engage with and influence staff for both operated and non-operated PSC(s). Work effectively within an integrated team and maintain open communications. Generate prospects and leads focusing on internally consistent fault linkages, ensuring fault planes are robust. Provide expertise and coaching to individuals and teams, to improve awareness and implementation of structural geology techniques. Work with Exploration Team, and other staff members including Drilling, NBD, Planning etc., to identify new ventures or blocks with exploration potential in order to build the Indonesian and/or greater Mubadala Petroleum portfolio. Identify hydrocarbon prospects and leads within a basin or play. Undertake regional work in conjunction with other Mubadala Petroleum members and recommend acreage for capture. Structural geological model input to ongoing 2D and 3D processing projects. Work with contractors’ staff to ensure velocity iterations are structurally robust. Keep abreast of changing industry trends, technical innovations, new techniques and procedures. Recommend improvements to departmental procedure and direct the implementation of instructions and controls covering specific areas of geophysical activity. Present all work, prospects, proposals, etc to Mubadala Petroleum teams, management, partners, government and other stakeholders. Contribute to the preparation of the geophysical unit budget and monitor financial performance versus the budget to facilitate adherence to units’ goals and objectives as required. Undertake detailed and accurate interpretation of 2D and 3D volumes incorporating sequence stratigraphy and strong regional structural understanding. Utilise 3D visualization techniques, interpret multiple horizons and faults and identify plays, leads, and prospects. Generate appropriate 2D and 3D reconstructions to evaluate fault trajectory and linkages, timing of fault movement history and impact on sedimentation. Integrate regional structural and out crop data, plate tectonic models, gravity / magnetics and other geologic data. Bachelor Degree in Geology or Geophysics. Second degree (MSc or PhD) with structural focus is advantageous. Minimum 15 years experiences in E & P industry, with minimum 10 years in Operator. International experience essential, multiple basins and structural regimes, preferably in SE Asian exploration. Experienced in 3D & 2D seismic interpretation. Excellent structural and stratigraphic interpretation skills. Good communication and interpersonal skills. Ability to interface and work with other team members and provide necessary inputs of geological and basin modelling projects. Able to coach, influence others and mentor in geophysical/structural aspects. Generate structural / stratigraphic template incorporating regional stuctural history. Input to fault linkages for prospect generation. Structural controls on sediment distribution. Extensional fabrics, fault linkage and kinematics skills. Applications will be closed on 14 April 2019. 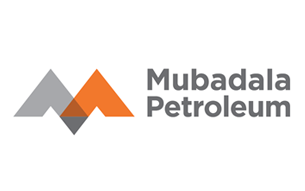 Thanks for reading Mubadala Petroleum Jobs: 3 Positions. Please share...!